Our new book Java Enterprise Performance is now available. It covers all major topics around performance management for enterprise Java applications. The book targets software and system architects as well as developers. It starts with an introduction to performance measurement techniques and data interpretation. The following technical chapters cover all major technologies used in enterprise applications; like remoting or web and Ajax technologies. Each technology is presented in a unique understand-measure-resolve approach. The goal is to first gain deep technical understanding of the underlying technology. Then measurement approaches and the interpretation of the data is discussed in detail. Each chapter is then completed with a discussion of typical problem patterns and how to detect and resolve them. The third part of the book discusses how to effectively implement performance testing, analysis and optimization processes. Special emphasis is put on modern performance management methods in agile and DevOps environments. The book can be ordered via Amazon. Some time later this year we will also have an English version available. 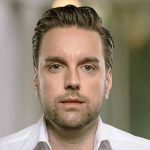 Alois is Chief Technology Strategist of Dynatrace. He is fanatic about monitoring, DevOps and application performance. He spent most of his professional career in building monitoring tools and speeding up applications. He is a regular conference speaker, blogger, book author and Sushi maniac.